Sweet stock and pink roses. 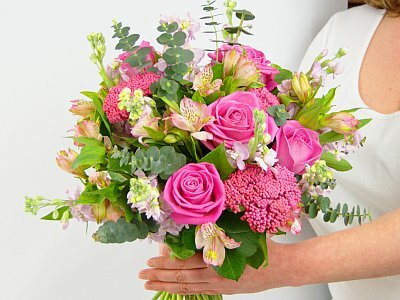 Send flowers today with next-day UK delivery from ##price##. Fresh flowers delivered, from Clare Florist.